I can’t guarantee that I can tell a guy’s personality by his glove. 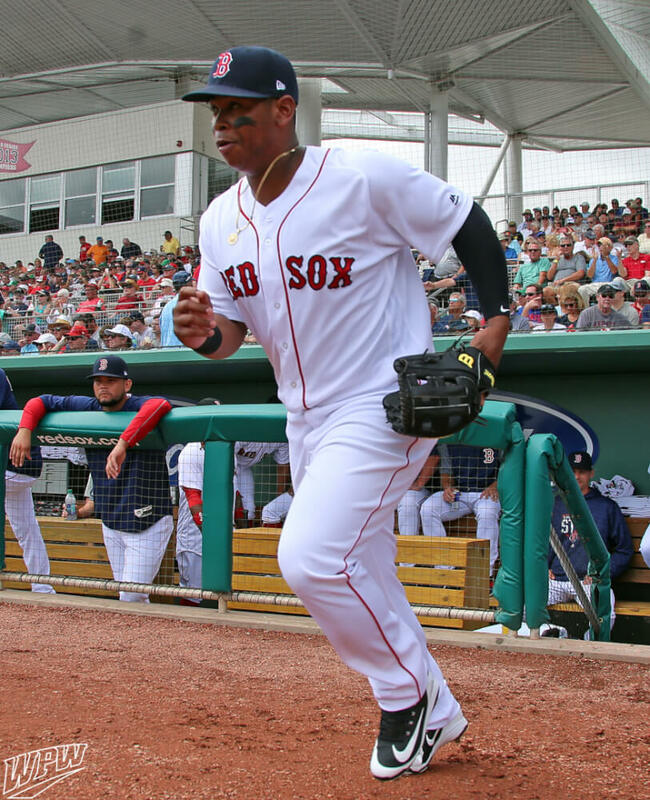 But what I can say is that Rafael Devers’ glove choice does not indicate that he is the “high-maintenance” type. You could imagine Devers walking over to the Wilson crew on Glove Day, picking up this stock black A2000 DW5 Superskin glove, popping it a couple of times with a closed fist, grunting in appreciation, and then getting right back to work. Here’s Wilson’s always enjoyable 2018 Glove Day video with the Sawx, and Devers does show up, albeit briefly. Get Devers exact model at the link. Categories: Rafael Devers, Gear, Glove, Boston Red Sox, Third Base.